Working in the public sector and in iconic public spaces is always a great privilege. It’s an honour to work on buildings which directly help the local population, and to know you’ve played a small part in that. 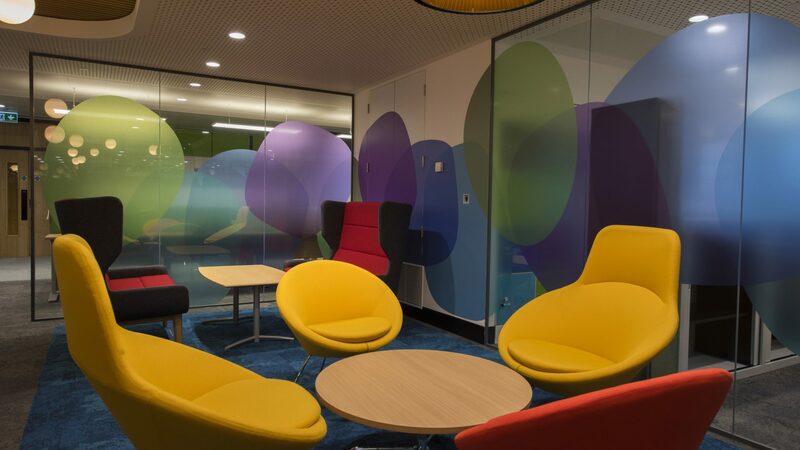 At ITC we’ve worked on a number of high-profile public sector spaces, including; Enfield Civic Centre, Woking Civic Centre, a range of Surrey Council’s Fire and Rescue Services and libraries, South East Coasts Ambulance HQ, and Beckett House for Guy’s and St Thomas’ Hospital. In the public sector, refurbishment and fit-out projects regularly involve working in a live environment, which inevitably comes with challenges. Important community spaces and the services they facilitate, need to remain functional for the duration of a project – how could a council disappear for weeks, or an emergency response service be compromised? – but they also need to be refurbished and updated to provide the best facilities and services. The solution isn’t to decrease the size or ambition of building plans or postpone them indefinitely, but to find the right team who can capably work around these time, space and logistical restrictions. Take, for example, our £8.8m refurbishment of Enfield Civic Centre. The headquarters of Enfield Council, serving a diverse population of over 330,000 across 21 wards, the Civic Centre is both a key government institution and a community hub. The area needed an up-to-date and accessible central building which spoke to the area’s opportunities and enabled the 63 Enfield councillors to best serve their constituents. What this meant in physical terms was a six-storey (from the ninth to the third floor) fit-out and refurbishment of 10,250 square feet of office space, taking place across 99 weeks. For some contracting firms, this may have meant 99 problems but not this one. ITC approached the logistical challenge by deciding to fit-out two floors at a time, each pair taking 14 weeks to complete. Working in a continuously occupied and public facing building created further obstacles, but careful planning, and considered noise management solutions meant these were smoothly navigated. A great deal of this project’s success relied on the sheer hard work and professionalism of the site team, with ITC members carrying out split shifts of up to 16-hour days in order to supervise the scale of work undertaken. It seems fitting that a building created for the community and collaborative working should rely so heavily on these principles throughout its lifetime. Another example of a public sector project involving a challenging live site? That would be our work at seven Surrey County Council sites which form part of the Surrey Fire and Rescue Services. This project comprised refitting and refurbishing the Breathing Apparatus Rooms in each of the fire stations (Camberley, Dorking, Cranleigh, Chertsey, Egham, Godstone and the Training Area at the Reigate HQ) which generally meant a strip-out at each location as well as the installation of some new appliances. All of which would not be an issue – except all works were undertaken whilst the sites were fully operational as emergency response units. Any disruption or reduced capacity here would mean much more than an inconvenience, having the potential to impede the fire service’s ability to save lives. Cue meticulous logistical planning, with the highest regard to safety and security to ensure there was no compromise to emergency response times. Again, it was our expertise and experience, thorough preparation and a collaborative working approach which led to a hassle free project and a client well pleased with their upgrade in vital facilities. For a live site project to be successful, this collaborative culture cannot just exist on site. At ITC, we work hard to ensure that our supply chains feel fully included with the team. From invitations to open forum ‘Collaborative Workshops’ at ITC, presented by Ian Conway, where to ‘Toolbox Talks’ held onsite informing operatives of any changes to processes and procedures. We’ve found that open and honest communication is absolutely the key to success. Weekly and fortnightly check-in meetings discussing everything from health and safety through to future project targets are also standard procedure on our projects. Public sector projects may at first seem daunting, for both client and contractor, but with careful consideration, consultation and creativity, your public project can be perfect.